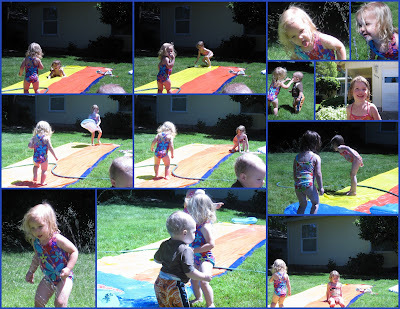 We bought the girls the ol famous slip n slide and invited Kaylee and Emerson to join in on the fun. It took awhile for them to understand the concept but later got the hang of it. Addison just loved to drink the water.